Fulcrum Inquiry is a business and financial consulting firm. We have expertise in accounting, appraisal, economics, and finance. 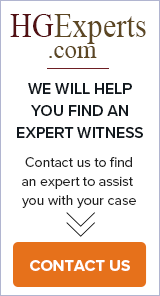 Our more experienced professionals regularly provide expert testimony, and have achieved outstanding results in this area. Colorado Distribution Consulting, LLC is a company focused on providing merger and acquisition, business valuation, and management consulting services to product distributors. Copley Investment Management provides litigation support in the areas of Business Valuations, Finance, and Economics. ECS Financial Services, Inc.'s managing partner, Mr. Samuel N. Oliva, a Certified Public Accountant since 1977, has over 27 years of experience in public accounting, and has been a partner at ECS Financial Services, Inc. (formerly Edwin C. Sigel, Ltd.) since 1980 and managing partner since 1982. For over 30 years, Evidence Solutions, Inc. experts have been performing Computer, Technology, and Digital Forensics. Our diverse experience and background provides you with the expert forensic expertise you need to fully explore the electronic evidence in the information age. Forensic Accounting Services of Florida, Inc.
A full service, certified public accounting firm with a FOCUS on forensic investigative accounting, litigation support, fraud, business valuation, damage claims, expert reporting.